Cite this article as: Zeman M, Silver E, Akin E. CT and PET Findings for Urachal Adenocarcinoma: A Case Report. Ann Clin Case Rep. 2017; 2: 1252. An urachus is a midline embryonic remnant structure within the space of Retzius that extends superiorly from the anterior bladder dome toward the umbilicus. Prior to birth, the urachus involutes to become the median umbilical ligament. Failure to regress can lead to various congenital anomalies. In a minority of cases, urachal tract remnants undergo malignant transformation to urachal cancer, a very rare cancer that represents 0.5% of bladder malignancies; of these, 85-90% is adenocarcinomas . Urachal adenocarcinomas have a 2:1 male predominance, and patients typically present in midlife . Urachal adenocarcinomas arise from metaplasia of urachal epithelium with subsequent malignant transformation . While there are multiple histological subtypes, 75-90% of these tumors are mucin-secreting . Due to their extraperitoneal location, these tumors tend to be clinically silent for much of their course. When present, the most common manifestation is gross hematuria. Prognosis is dependent on surgical margins and stage with the latter based on criteria set forth by Sheldon et al. (Table 1). More broadly, prognosis is relatively poor, as patients tend to present later in the disease course . The mainstay of treatment is a partial cystectomy with en-bloc resection of the umbilicus and urachal ligament with bilateral pelvic lymphadenectomy. While there is no definitive role for neoadjuvant or adjuvant chemotherapy, there is some evidence that 5-FU and cisplatin combinations may be helpful under special circumstances . Imaging plays an increasingly large role in diagnosis and staging. Due to the rarity of urachal adenocarcinomas, however, literature documenting characteristic imaging findings is limited. This case report will highlight these imaging findings. A 43-year old male initially presented to an outside institution with gross hematuria, fatigue, and dysuria. Physical examination was unremarkable, and urinalysis showed trace hematuria. CT urogram showed a 3.4 cm x 2.9 cm peripherally calcified mass located superior to the bladder dome without any significant enhancement. No suspicious lymphadenopathy or bony lesions were noted. Cystoscopy was performed, showing a 2 cm mass near the bladder dome with calcification and necrotic tissue consistent with malignancy. Pathologic results suggested transitional cell adenocarcinoma. Given the tumor’s location, this diagnosis was questioned, and reevaluation at our institution suggested urachal adenocarcinoma. Repeat cystoscopy with mass and random bladder biopsies was negative for any urothelial adenocarcinoma, consistent with urachal adenocarcinomas. [18F]FDG PET showed no significant hypermetabolic activity within the bladder mass. The patient underwent robotic-assisted laparoscopic partial cystectomy, umbilectomy, and bilateral pelvic lymph node dissection. A 3.5 cm mass was resected from the bladder dome; pathologic studies confirmed a high-grade mucin-producing urachal adenocarcinoma of signet cell type. Surgical margins and biopsied lymph nodes were negative, staging the tumor at T3aN0M0. The patient underwent adjuvant chemotherapy with four cycles of fluorouracil, gemcitabine, and cisplatin. To date, there has been no evidence of residual or recurrent tumor (Figure 1). Table 1: Sheldon Staging System for Urachal Carcinoma. Sheldon Staging System for Urachal Carcinoma. (a) Fused axial PET-CT slice showing peripherally calcified urachal mass with minimal metabolic activity, isointense to background. (b & c) non contrast enhanced CT slices in the same area showing the low density urachal mass with peripheral stippled appearing calcifications. (d) PET only image showing minimal to no discernable metabolic activity within the urachal mass. Despite there being no consensus regarding diagnostic criteria for urachal adenocarcinomas, there are certain features that are highly suggestive of their diagnosis, including: tumor location in the bladder wall or dome; sharp demarcation between tumor and surface bladder epithelium; and exclusion of primary adenocarcinomas in another location . While these criteria are useful in defining urachal adenocarcinomas, their clinical utility can be improved with the inclusion of comprehensive imaging findings, as most patients are likely to undergo imaging as part of their work-up. The intent of this case report is to showcase these findings. CT is the most widely used imaging modality to diagnose and stage urachal tumors. CT findings most characteristic of these tumors include: A) an anterior supravesical midline mass in the space of Retzius; B) heterogeneous enhancement with areas of low attenuation; and C) peripheral calcifications in the mass . The presence of all three findings is pathognomonic. Unlike with CT, there are no pathognomonic PET findings. Rather, these tumors demonstrate considerable variation in their degree of hypermetabolism [6,7]. For example, this case yielded a false-negative PET scan. The failure of PET to detect this patient’s malignancy is not unexpected in the context of the tumor’s mucinous pathology, a characteristic of 75-90% of urachal adenocarcinomas . It is well documented that mucinous adenocarcinomas are not as [18F]FDG-avid as non-mucinous ones . The abundant mucin that they produce limits their cellularity, and thus, [18F]FDG uptake . While there are no studies that specifically address the avidity of [18F] FDG uptake in mucinous urachal adenocarcinomas, this limitation observed for other mucinous tumors likely applies to those of urachal origin. Furthermore, this patient’s tumor exhibits a central, unilocular mucin distribution, restricting the thickness of the tumor’s walls. If this thickness falls below the spatial resolution of the PET scanner, there is loss of measured activity secondary to the partial-volume effect. Additionally, irrespective of the tumor’s mucin production, the activity of urachal adenocarcinomas and their progression into adjacent structures can be difficult to evaluate due to their proximity to the bladder, which appears hypermetabolic on PET secondary to urinary [18F]FDG excretion. As exemplified by this case, urachal adenocarcinomas have a high potential to be PET negative. Consequently, PET’s role in their work-up is limited. But, as not all urachal adenocarcinomas are PET negative, PET has some utility in their work-up. 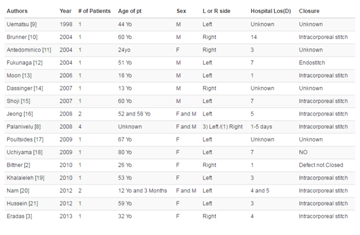 Various cases have reported mild or moderate [18F]FDG uptake for these tumors [6,7]. Visual inspection of these cases suggests that patients with metastatic disease and/or tumors with greater solid composition are more likely to have elevated [18F]FDG uptake. This patient’s tumor, in comparison, is not metastatic and does not exhibit a high solid composition, making [18F]FDG uptake unlikely. While more information is needed, it is reasonable for physicians to assess for the presence/absence of these two variables and use this information to help guide decision-making on the appropriateness of obtaining PET in the work-up of urachal adenocarcinoma. For example, if a patient’s CT shows urachal tumor with a significant solid component, obtaining a PET scan is reasonable. Altogether, due to the high likelihood of false negative results, PET imaging has an adjunct role in the work-up of urachal adenocarcinomas. Rather, CT, with its pathognomonic findings, is the modality of choice for these tumors. Brick SH, Friedman AC, Pollack HM, Fishman EK, Radecki PD, Siegelbaum MH, et al. Urachal carcinoma: CT findings. Radiology. 1988; 169: 377-381. Sheldon CA, Clayman RV, Gonzalez R, Williams RD, Fraley EE. Malignant urachal lesions. J Urol. 1984; 131: 1-8. Siefker-Radtke A. Urachal adenocarcinoma: a clinician's guide for treatment. Semin Oncol. 2012; 39: 619-624. Johnson DE, Hodge GB, Abdul-Karim FW, Ayala AG. Urachal carcinoma. Urology. 1985; 26: 218-221. Thali-Schwab CM, Woodward PJ, Wagner BJ. Computed tomographic appearance of urachal adenocarcinomas: review of 25 cases. Eur Radiol. 2005; 15: 79-84. Guimaraes MD, Bitencourt AGV, Lima ENP, Marchiori E. [18F]FDG PET/CT findings in the unusual urachal adenocarcinoma. Clinical Nuclear Medicine. 2014; 39: 831-834. Li X, Liu S, Yao S, Wang M. A rare case of urachal mucinous adenocarcinoma detected by 18F-FDG PET/CT. Clin Nucl Med. 2015; 40: 282-285. Berger KL, Nicholson SA, Dehdashti F, Siegel BA. FDG PET evaluation of mucinous neoplasms correlation of FDG uptake with histopathologic features. AJR Am J Roentgenol. 2000; 174: 1005-1008.